Lutheran Women's Missionary League (LWML) is the Official Lutheran Women's Auxiliary of the Lutheran Church-Missouri Synod and is for Women of All Ages and Cultures. The mission of the Lutheran Women's Missionary League is to assist each woman of the Lutheran Church - Missouri Synod in affirming her relationship with the Triune God so that she is enabled to use her gifts in ministry to the people of the world.
. Inspiring conventions, retreats and workshops to equip and encourage.
. Educating, strengthening and motivating young women as future leaders. Our CTK LWML meets at 7:00 on the fourth Monday of the month, August through May. All women in the congregation are invited to join the fun and service. There is always opportunity for service, fun, and fellowship at LWML. LWML has two large fundraisers every year. 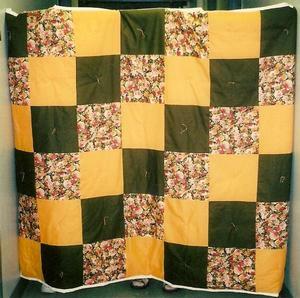 The purpose of Lydia Sewing Circle is to use our talents of sewing to make warm quilts for infants, toddlers, the ill, and the needy of our community. We are an arm of Christ the King Lutheran Church, Missouri Synod. Lydia Sewing Circle is a group of ladies who get together on the second and fourth Wednesday of the month to make quilts and blankets for the needy in Salina . 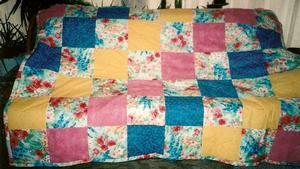 We tie our quilts rather than the traditional quilting. We have given to DVAK (Domestic Violence Assn. of Central Kansas), and Ashby House. 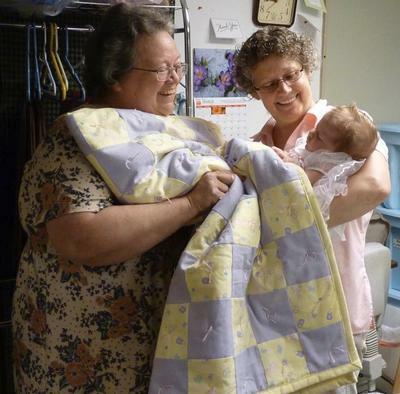 Birthright and Pregnancy Service Center have also received baby quilts. 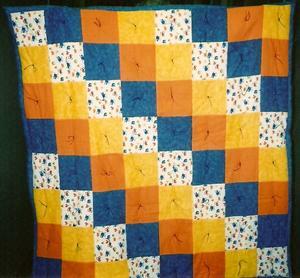 We have tried to make a quilt for very sick members in our church and also baby quilts for our new babies. We welcome donations of fabric and money to keep our mission going and we appreciate the good financial support Thrivent has given us also. Anyone is invited to join us. We have a lot of fun and fellowship together and serve the Lord at the same time. For more information, call Carol Boldenow, 827-5910.